On Saturday I passed my CFI Instrument Rating check ride, so I'm now an official CFII. I again went down to San Diego and spent a week with Dave Simpson at TakeFlight San Diego. It was a bruising week but Dave whipped me into shape. It has been 15 years since I got my instrument rating and a lot has changed while a lot has stayed the same. I fly in the IFR system a fair bit but in the real world you really only use a fraction of what you need to know to teach this stuff so it was challenging. Also it's so easy now with my G500 and GTN 750 I get spoiled. I did the ride in a steam gauge Archer and so it was back to flying the needles, the 5 T's, etc. It was great training and even had a fair bit of it in IMC since we always got an early start and San Diego always has a morning marine layer. Here is my full ride report in case anyone is working on their CFII. The check ride started at 7am. We began with the aircraft logbooks although this time the examiner just wanted me to show him the plane was airworthy vs teaching him like a student how to verify that the plane was airworthy and all the regs that go along with that. We had already done that on my CFI initial since he was also my initial examiner. After that we went into the regs with currency requirements for IFR, what's required for an IPC (rating table in PTS). Then we went into endorsements he asked me what's required to sign someone off for the instrument check ride, logging the ground time and making sure to make log legible entries in logbooks. Then we went into the flight instruments. He asked me to draw the airspeed and the VSI on the board without looking at my diagrams. He wanted to see that I could explain their inner workings without having to refer to a diagram. Make sure you know where the static ports connect on the VSI and exactly where the calibrated leak is. After that he had me teach him about cross country flight planning. I had a navlog drawn up and he asked for an overview of what was on it and how I derived it but he never questioned any of my calculations and assumed I had done it correctly. I then went into a scenario where I described a student who was trying to get to his daughters wedding the next day. I started with risk management discussion which he liked, PAVE and IMSAFE, 5 P's etc. Next we discussed weather. I had printed translated Metar and Taf reports but he wanted to see I had resources to refer to in order to teach the student how to read coded data. I had the aviation weather book handy with notes about relevant pages, as well as some cheat sheets I had downloaded and printed and he was good with that. We discussed the surface analysis chart, radar summary chart. He asked how to get weather enroute, whats available on HIWAS, flight watch and flight service. He was big on Notams and wanted me to tell him about FDC notams, what they are, where to find them and why they might be significant. I gave the example of raised circling minimums at MYF due to a temporary crane and he really like that. Not reading the not in a circle situation would put you only 20 ft above the obstacle! Then he asked about minimums at the alternate, what's required if I don't have WAAS in terms of RAIM and whether or not an airport with a GPS only approach can be filed as my alternate. He wanted to make sure I knew where to refer to the regs on all of it. Then we discussed the charts, symbology and make sure you know everything on the chart. He asked me about approach control areas of operation and where to find it. He also asked me to teach him how to brief an approach plate. He was big on briefing contingencies such as lost COM, so make sure to brief the MSA and what you would do if you lost COM in terms of route and altitude. He also wants you to brief the runway lengths and circling procedures. Basically read him the entire plate... he was not satisfied with the basics and always wants you to be getting your student to think about what happens if it doesn't go according to plan. We discussed the enroute chart, crossing altitudes, the ORACA and what would I do if I lost COM in various areas. (AVE F) but also know where this is in the regs. All this took about 3.5-4 hours and then he was satisfied with the oral portion, we briefed the flight. We ended up flying VOR-A at OKB with the published hold - 1 turn, followed by the ILS to a touch and go, cancel IFR and a VFR departure to the DME arc on the 083 radial off of OCN, then compass turns and timed turns, followed by unusual attitudes under the hood and a steep turn, and ended with the GPS 17 back to KSEE. Everything went well except make sure to time the outbound at OCN for the VOR-A, I was late on the timer but as he pointed out it's required since this is a VOR-A and I could use DME but still needed to time it. Also he seemed to not like that I navigated to the missed approach with the GPS instead of the VOR on that approach, obviously I flew the approach on the VOR though. On the ILS he wanted me to descend to the glideslope as soon as the needle came off the peg. Also he asked me what would I teach a student to do if we lost COM while being vectored on downwind to the ILS and the correct answer is to climb to the MSA and then navigate to the IAP and begin the approach from there. Also make sure to brief lost com before takeoff. Adam, congratulations! 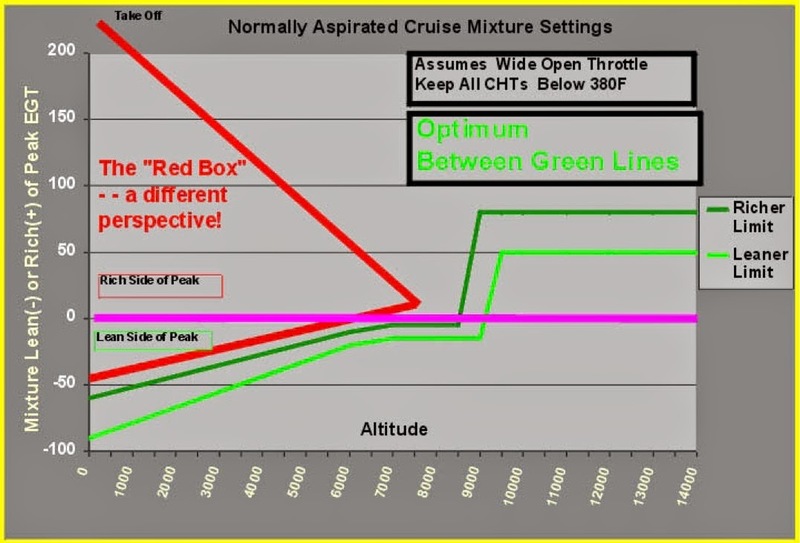 A lapsed student pilot, I really enjoy reading your blog. I had breakfast this past Saturday at the cafe at KSEE, and recognized your plane on the ramp.